Tim Halperin (born May 27, 1987 in Omaha, Nebraska, US is an American singer songwriter and was one of the semi-finalists (top 24) for American Idol Season 10 (2011). He auditioned for Idol in Los Angeles, California. 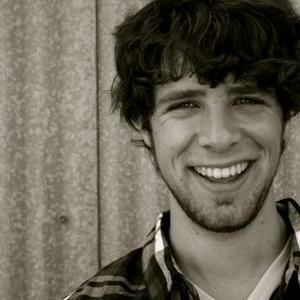 Tim Halperin enrolled in piano lessons at age six and spent his adolescent years writing music and performing with various bands including a worship team at his church. By the time Tim enrolled at Texas Christian University in Fort Worth, Texas, he was ready to make his debut as a singer songwriter. Tim Halperin enrolled in piano lessons at age six and spent his adolescent years writing music and performing with various bands including a worship team at his church. By the time Tim enrolled at Texas Christian University in Fort Worth, Texas, he was ready to make his debut as a singer songwriter. In January 2008, Tim released his debut single, You Are the Moon. His music was featured on several XM radio stations, and he made a guest appearance on NBC's Kansas City Live. Tim's fans encouraged him with overwhelming support, prompting his concert tour through the Midwest. In October of 2009, Ourstage.com named Tim's single, Make or Break, a Critic's Choice, and in 2010, MTV's The Real World featured two of Tim's original songs on national television. Since then, his continuous-shot music video for ?She Runs? has gone viral on YouTube, and Tim has shared the stage with artists including John McLaughlin, Matt Wertz, Andy Davis, The Ying Yang Twins, and Green River Ordinance. Tim has recently partnered with Susan G. Komen for the Cure as a part of TCU's ?Frogs for the Cure? initiative. In an effort to increase breast cancer awareness and raise financial support for breast cancer research, Tim wrote an original song called ?We Fight Back,? with the iTunes proceeds going to Komen. Tim was also featured in the inspirational ?We Fight Back? music video, which serves as a tribute to breast cancer survivors all over the nation. In the early months of 2011, Tim found a new fanbase with his successful run on 'American Idol', getting to the live portion of the show and the Top 24 with stand-out performances at the piano. With solid roots, a genuine love for music, and proven ability, Halperin will continue to make his mark on the music industry. In September 2011, Tim released his first full-length album entitled "Rise and Fall." The album reached #1 in the Singer/Songwriter category of album sales and #25 overall album sales on iTunes. You can buy "Rise and Fall" by following this link: http://bit.ly/timhalperincd. Halperin's fans can expect much more from the budding star as he continues to apply his musicality and lyrical creativity in fresh and innovative ways. Although his future may be unknown, one thing is certain: Halperin's story has only begun.